Both students and professors can agree to some degree that the Art History curriculum tends to be rather Eurocentric. Even though attempts are made to include examples from all around the world, there is still a heavy imbalance of European focused content. There’s also simply not enough time in one semester to cover historical content from every culture. And so, these factors contribute to generate an overall lack of diverse representation from non-European/American cultures. An ethnic background group that is scarcely represented in the textbook is Middle Eastern, more specifically, Iranian graphic designers. A great example of an Iranian designer who is certainly worth covering in this textbook is Reza Abedini, born in 1967 in Tehran, the capital of Iran. Reza Abedini was raised in Iran and graduated from the School of Fine Arts with a major in Graphic Design; he continued his studies in the Tehran University of Art, majoring in painting and earning a Bachelor of Arts degree in 1992. 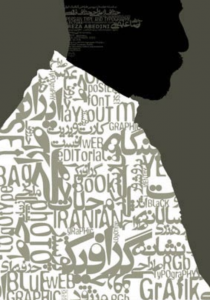 Shortly after completing his studies, he founded the Reza Abedini Studios as he began to work professionally as a graphic designer, eventually building his reputation as one of the most well-known Iranian graphic designers from. 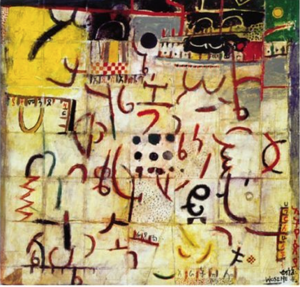 In his professional practice Abedini is also a respected art critic and Professor of many fields such as typography and printmaking in the University of Tehran and the University of Beirut. Abedini has a defined and consistent style that make his works immediately identifiable as his own. Abedini combines his fine art background with his graphic design practice while incorporating elements of his culture into his work, resulting in a style that is entirely unique to him. He is often commissioned for commercial purposes, creating posters for various events, book and magazine covers. In such designs, he typically uses a minimalistic colour palette to create flat organic shapes that make up silhouettes of the figures in his image. The printmaking technique of using flat colours combined with the creative application of text create visually interesting compositions. The text in his designs are not merely there for reading, but rather are an essential part of the composition. 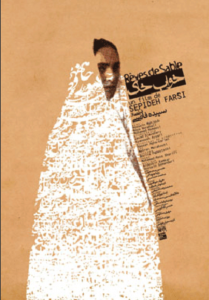 Abedini uses a combination of Farsi and English typefaces, using both traditional calligraphy and modern typography to suit the text design accordingly to be fully incorporated into the image. 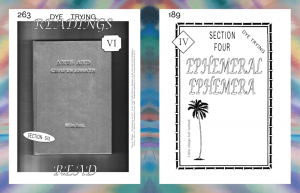 Abedini uses classical texts and poetry to further enhance the meaning and purpose of the text included in his work. Abedini is a highly respected graphic designer, artist and professor who has won numerous awards as recognition of his design vision. He should be included in the textbook as a representative of both Iranian culture and Middle Eastern graphic design. 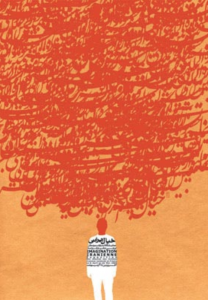 His work honours the beauty of Iranian language, poetry and calligraphy. It is important for people studying graphic design history to be aware of such cultures and ethnicities, not only for awareness and knowledge but also for appreciation and potential inspiration for their own design practice. I believe it is valuable to study designs from all cultures as diversity is ultimately what pushes the field of graphic design to evolve and improve over time. “Reza Abedini | Biography, Designs and Facts.” Famous Graphic Designers, www.famousgraphicdesigners.org/reza-abedini. 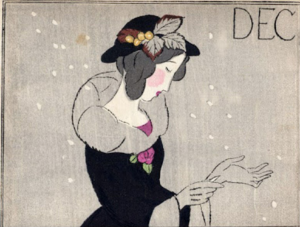 One such designer who is missing from the textbook is Yumeji Takehisa. Takehisa was a prominent figure during the Taisho Era, of which was a period also known as the “Taisho Modern” or “Taisho Roman”. It is around this time, around the 1920s, that this was considered as “Japan’s Jazz Era”. Similarly, around this time, various countries across the world were experiencing the movement of the Art Nouveau. While the textbook touches upon the French, American, and German Art Nouveau, it only discusses the Japanese briefly, but noting only of their influence on the West due to their “Ukiyo-e” woodblocking print. It is important to discuss the art movements the Japanese were experiencing, because so much of the influence that the West drew from, originated from Japan. We must see the context that led to this movement in Japan, that soon gained the attention of many other artists around the world. Yumeji Takehisa, "Maiko in Kyoto"
Takehisa became a prominent figure in this era of Japan, and is known for his coloured wood-blocking prints. Minimalistically, he depicted melancholic yet beautiful women in poetic and atmospheres. Much of the women he depicted were inspired by his lover and subsequent mistresses. In this era, there became a development of the individual and their ideals, leading to the rise of the “mobo moga” – the “Modern Boy (Mobo) or the Modern Girl (Moga)”. This can be compared to the flapper movement of the 1920s in America or the rise of the “femme fatale” or the “new woman” in French Art Nouveau. Where the Mobo or boy would have long hair, the Moga or the girl would shed her hair to be boy-length short, and became more in favour of western-styled clothing. 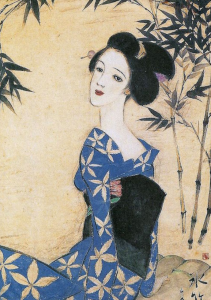 Out of this “Taisho Modern”, Takehisa’s style would be influenced by this period and the German “Jugendstil”, where the women he depicted were beautiful, yet melancholic ; thin bodied, with large eyes. Such images would become the new way of portraying the romantic image throughout his generation. While the West was more influenced by Ukiyo-e in the 1920s; by then, the Japanese had begun to move away from the ideals of Ukiyo-e. By this time, traditional ideals of Japanese feminine beauty were changing and leaning more towards western ideals. The culture around the Taisho period became influenced by the Romantic movement in art and literature in the late 18th and early 19th century, and celebrated the individual and new ideals. Cities were changing in economy and in culture, and saw the rise of the working woman. 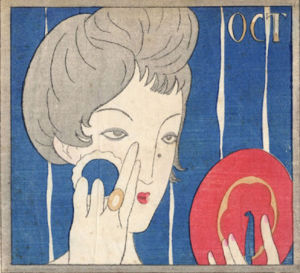 By 1909, Takehisa published a book of sketches, which would later become accepted as the new version of the “Ukiyo-e”. Out of his work, influenced by the Taisho Modern, would come a new style known as “Taisho Romanticism”, influenced by the Western Modern. Just as how the Japanese influenced the art in the West, the West had just as much of a profound impact on the art and culture in the East. It is important to understand how these countries influence each other in both directions, and not just one. Where Japan encountered a similar movement along with the countries to the West, understanding Japan’s and Yumeji Takehisa’s work during the similar time period allows for a greater perspective and understanding on the Art Nouveau movement and how countries adapt and modify a movement to represent their nation and culture. Matsuyama, Hiroko. “Taisho Roman and Takehisa Yumeji: Japanese Lyrical Beauty.” Japanese Patterns of Design, 25 Sept. 2017, www.patternz.jp/taisho-roman-takehisa-yumeji/. “Takehisa Yumeji (竹久夢二) (Biographical Details).” British Museum, www.britishmuseum.org/research/search_the_collection_database/term_details.aspx?bioId=143481. Hoffman, Michael. “The Taisho Era: When Modernity Ruled Japan's Masses.” The Japan Times, www.japantimes.co.jp/life/2012/07/29/general/the-taisho-era-when-modernity-ruled-japans-masses/#.XKeqZVNKjPA. Wanczura, Dieter. “Yumeji Takehisa - 1884-1934.” Artelino, 1 Jan. 2019, www.artelino.com/articles/yumeji-takehisa.asp. 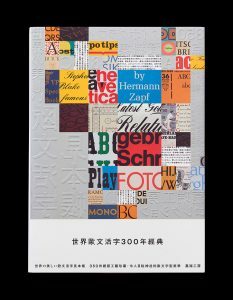 Wang Zhi- Hong famous Taiwanese graphic designer and most known for his book cover designs would make a great addition to the textbook. What makes Wang Zhi- Hong significant and reason he should be added to the text book is how he uses text. 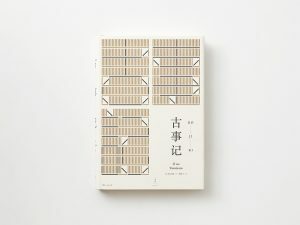 How he uses text is by mixing Chinese text and other languages to convey a message within a cover book. This something that I don’t see that often where a person would use another language in a design let alone combining multiple languages. This also a significant importance where it is not only combining languages but also cultures. Graphic cultures how he integrates western elements within his design, which shows a completely new side to influencing. How it was before where eastern art such as ukiyo-e and wood block printing was huge craze during the nineteenth century where graphic designers influence by eastern art. Now we’re are seeing the opposite effect where western design is now influencing eastern designers. 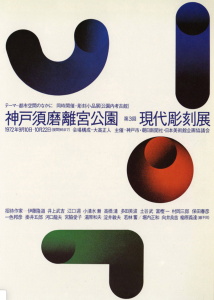 This makes sense since Wang Zhi-Hong was influenced and inspired by a Swiss designer named Josef Müller-Brockmann. Looking at the current textbook there is not that much of diversity within the pool of graphic designer since many of them are American and European, Wang Zhi-Hong would help broaden the selection of designers. Another reason why Wang Zhi-Hong would make a great addition to the graphic design history textbook is because it opens up new topics about cultural differences in design as well as similarities between the design styles. it also shows the importance and significance that type and typography can have on design. Wang Zhi-Hong being well known for his work has also gain world-wide recognition and praising for his work. He also a six-time award winner of the Golden butterfly an award as a sign of highest honor as a book designer. I can understand why he has receive such a high honour, Wang Zhi- Hong shows us a whole new way of using text and only text to convey a message. He formats and layout how play also a significant role and foundation to his designs. How he formants his work helps convey this tone of elegance. how he chose to structure his design also plays into the feeling that they design coveys. What Wang Zhi Hong combines to create his design are elements for Taiwanese, Japanese, Chinese, and western culture. Seeing the wide range of influences he uses within his work shows how culture plays a big role in his design. This also give a new perspective for designers, see how he integrating more than one culture and implementing elements within his work can inspired many others to do the same. Seeing the how the new generation of designers are developing and growing Wang Zhi-Hong would be a great influence to have within the textbook to further share and educate future students. 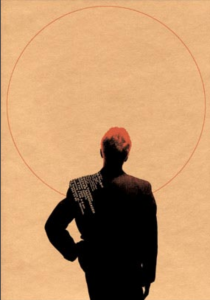 Peter Mendelsund is arguably the English literary world’s most important book jacket designer working today. In an era of digital devices and short attention spans, our first instinct may be to dismiss book cover design as a vestige from the dusty past. But as readers increasingly turn more of their attention to text written on screens, the importance of book jacket design should not be understated. Not only do book covers inform people of their contents in the literal sense, but when designed well, they also convey a more immediate, emotional and subconscious meaning to the person whose eye they catch. A beautiful cover demands attention and pulls the viewer in. Once bought, the beautiful book becomes an artifact. Acting not just a beautiful object in one’s home, a beautiful book is also symbol of the knowledge transferred from the writer to the reader of the book. If nothing else, great book cover design triggers the interest of the public and makes printed books desirable objects for people to own and hopefully read. A book cover is like an appealing membrane that connects humans to the abstracted knowledge hidden deep in thos printed pages. Formally a classical pianist, Peter Mendelsund earned his stripes at Alfred A. Knopf under the Legendary Chip Kidd. With absolutely no formal training in graphic design prior to his serendipitous employment, Mendelsund combined instinct, intelligence, and a deep love of books to create dozens of iconic and award-winning covers for writers dead and alive from Franz Kafka and Dostoevsky to Stieg Larsson and David Sedaris. Although he has no particular signature aesthetic style per se, what makes Mendelsund’s covers so recognizable is is that they are all visually striking, clever and unexpected, and most importantly, absolutely in line with the content and spirit of the book they represent. These are all reasons why I think Peter Mendelsund and book jacket design should be included in contemporary design textbooks such as Stephen J. Eskilson’s Graphic Design: A New History. Cartwright, James. “Stellar Designer Peter Mendelsund Lets Us Snoop around in His Thoughts…” It’s Nice That, 31 July 2012, www.itsnicethat.com/articles/peter-mendelsund. King, Christopher. “Peter Mendelsund by Christopher King – BOMB Magazine.” BOMB Magazine, 5 Aug. 2015, bombmagazine.org/articles/peter-mendelsund/. Mendelsund, Peter. “What’s the Purpose of Book Jackets in a Digital World?” Slate Magazine, Slate, 7 Aug. 2014, slate.com/human-interest/2014/08/cover-by-peter-mendelsund-the-utility-of-book-covers-in-a-digital-world-photos.html. Mendelsund, Peter. Discipline & Punish by Michel Foucault. 2010. Web. 4 April. 2019. Mendelsund, Peter. The Fifty Year Sword by Mark Z. Danielewski Book Cover. 2012. Web. 4 April. 2019. Mendelsund, Peter. The Trial by Franz Kafka Book Cover. 2011. Web. 4 April. 2019. Mendelsund, Peter. Ulysses by James Joyce Book Cover. 2013. Web. 4 April. 2019. Mendelsund, Peter. Vertigo by W.G. Sebald. 2016. Web. 4 April. 2019. Ancient Chinese art has influenced many countries in the world. For example, as early as Qin and Han Dynasties, the artistic development and characteristics of China were spread to countries like Rome, Korea, and Japan. However, while introducing the history of graphic design, the textbook does not seem to involve too much Chinese design. 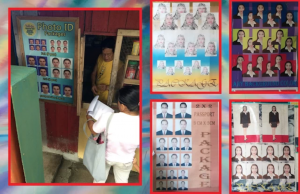 As a native, I have never seen some of the posters that are claimed to be Chinese. Therefore, I think that in the third edition of the textbook, they should include some designers with early Chinese characteristics. This will not only change the stereotype of Western culture to China but also allow students to learn more about authentic early Chinese graphic design. Being one of the most talented graphic designers in twentieth-century China, Xie Zhiguang was famous for his commercial advertisement, which is known as yuefenpai (calendar poster). Xie graduated from the Shanghai Fine Arts School and received formal education from the famous Chinese artists and yuefenpai designer. Xie had been a stage art and commercial art designer before he gained fame. He used to paint the background of Tianchan Grand Stage in Shanghai for a living. Later, he started painting the yuefenpai and other cigarette advertisements. Soon he became a famous advertising painter in Shanghai. In 1922, his first yuefenpai “West Lake Cruise” was published when 23 years old. Because of the exceptional concept and technique, this work achieved great success in Shanghai. Xie Zhiguang’s works of performing women’s beauty were extraordinarily delicate while aligning with the appetite of the citizens at that time, which seized the attention of the art industry. Nanyang Brothers Tobacco Company took the lead and invited him to the company’s advertising art department. The batch of posters Xie Zhiguang created for the company made a huge success. It not only dropped a bomb in the fashion industry but also played a significant role in promoting cigarette sales. Influenced by the new social atmosphere, his works intensively infused Western painting techniques with traditional Chinese painting and had gradually become a dynamic monthly fashion. Xie Zhiguang made an irreplaceable contribution to the formation of the cultural symbol of the old Shanghai in the month. He can almost become synonymous with the yuefenpai and a representative of Chinese Art Deco style. Laing, Ellen J. 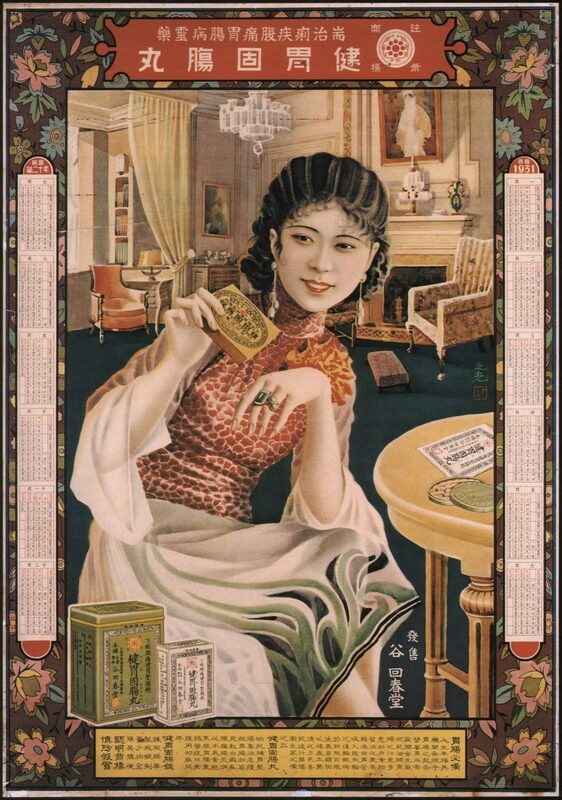 Selling Happiness: Calendar Posters and Visual Culture in Early Twentieth-Century Shanghai. University of Hawai’i Press, Honolulu, 2004. Lago, Francesca Dal. The Journal of Asian Studies, vol. 65, no. 2, 2006, pp. 407–408. JSTOR, www.jstor.org/stable/25076044. Zhao, Xin, and Russell W. Belk. “Advertising Consumer Culture in 1930s Shanghai: Globalization and Localization in Yuefenpai.” Journal of Advertising, vol. 37, no. 2, 2008, pp. 45–56. JSTOR, www.jstor.org/stable/20460842. Burton Kramer is a pioneer of Canadian graphic design and a worldwide acclaimed graphic designer. In 1965, he moved to Toronto to work as an art director for Paul Arthur & Associates – one of the best agencies at the time. While there, he created the map and signage for Expo 67; this became one of his best known works as it helped introduce wayfinding systems to the world. With his move to Toronto, he introduced the “International Style” to Canada (Simpson 2017). Shortly after he established Burton Kramer & Associated Ltd., a firm that focused on corporate identity design. They served major institutions such as the ROM, Radio Canada International and OECA (designculture.it). 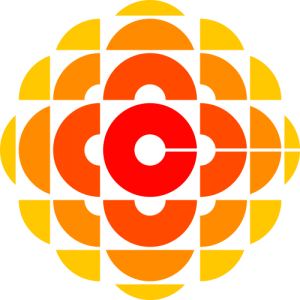 After becoming a Canadian in 1974, he designed a distinctive corporate identity for CBC that had a stylized C (for Canada) radiating in all directions to represent broadcasting (designcanada.ca). That same year, he was accepted as a member of the world’s most prestigious graphic design association, AGI (Alliance Graphique Internationale) (designculture.it). Kramer taught at OCAD U for 21 years, helping develop future generations of Canadian designers. He has won many prestigious awards worldwide, in 1999, he received a “Lifetime Achievement Award from Arts Toronto. In 2002, he received the Order of Ontario for his contributions to the culture of the province. In 2003, he received an honorary doctorate from OCAD U. He received a Lifetime Achievement Award from the Canadian Art Directors & Designers Club in 2015. Finally, in 2018, he was named a Member of the Order of Canada, one of the country’s highest civilian honours. It recognizes outstanding achievements of individuals and their dedication to the community as well as service to the nation (ocadu.ca). Throughout his career, he wrote numerous essays that have been published in significant magazines and design books such as Idea Magazine and “Top Trademarks & Symbols of the World” (designculture.it). Also, his own book “Identities” is a comprehensive and integral book that documents his work from 1958-2008 (burtonkrameridentities.com). Throughout his career, Kramer has been able to develop a distinct form of communication in a way that is clear, consistent and dynamic, through his use of geometry, high expressiveness and colourful energy (designculture.it). In 2001, Burton’s focus shifted from design to abstract painting, but he still retains his fascination with geometric forms in this new field (Clarke 2018). Burton Kramer is an important figure in the development of Canadian identity, as he has greatly contributed to his community through various means. His inclusion in the Graphic Design textbook will make for a more completed history of graphic design because, undoubtedly, he is one of Canada’s most important graphic designers and he continues to influence his community and developing designers. “Burton Kramer”. 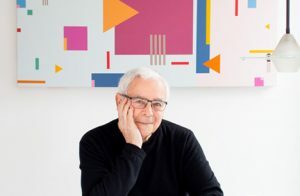 Design Canada, https://designcanada.com/designers/burton-kramer. 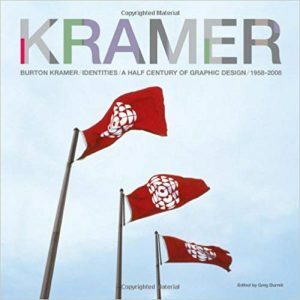 “Burton Kramer Identities / A Career Retrospective Book”. Burtonkrameridentities, http://burtonkrameridentities.com. Clarke, Ian. “Burton Kramer”. Heythere, 2018, http://heythere.ca/interview/burton-kramer/. Kramer, Burton. “Hip-Hoppin’ 5B1 – Burton Kramer Paintings”. Burton Kramer, 2010, https://www.burtonkramer.ca/Hip-Hoppin-5B1. “OCAD U Congratulates Burton Kramer On Receiving Order Of Canada”. OCAD UNIVERSITY, https://www2.ocadu.ca/news/ocad-u-congratulates-burton-kramer-on-receiving-order-of-canada. Simpson, Hayley. “10 Incredible Canadian Graphic Designers You Should Know”. Culture Trip, 2017, https://theculturetrip.com/north-america/canada/articles/10-incredible-canadian-graphic-designers-you-should-know/. A very important designer that is missing from the textbook “History of Graphic Design” by Stephen j. Eskilson is Sylvia Harris. Harris worked as a design strategist, making sure that public information graphics were made accessible to the public in an effective way. She started her career by working for WGBH design firm. She learned a lot from her boss Chris Pullman, who saw great potential in her. After realizing her interest for design, she pursued a master’s degree in graphic design at Yale University. While pursuing her degree, she worked at an architecture firm called TAC, which is where she got her first exposure to environmental graphics. After quitting her job at TAC, she formed her own company called Two Twelve Associates in 1980. It was while working for Two Twelve Associates where she was commissioned to redesign the displays, signs and information for the Central Park Zoo. This project lead to a great passion and interest in designing public information systems. A Public information system is known as the practice of presenting information to the public in a way that is effective and efficient for them. By helping the Central Park Zoo redesign their signs and displays she really helped to coin the term “public information graphics.” After the success of these graphics for the zoo, she worked on designing Citibanks first ever ATM and the environmental branding of the Lincoln Centre for the Performing Arts. Looking at figure 1.1, we can observe the design of the ATM for Citibank in 1989. Harris uses a prominent blue, white and black colour scheme, working to establish a unique brand identity. 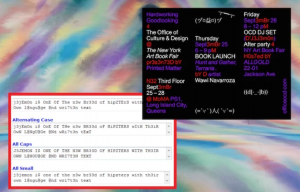 She also employs sans-serif typeface, enhancing the speed of legibility for the viewer. The use of the arrow is also noticeable and is integrated directly with the typeface, creating a fully unified image. The design was successful in encompassing a well-unified design to display information effectively to the public. In fig 1.2, we can examine the design for the Lincoln Centre for the Performing Arts. She uses a circle shape for the diagram even though the shape of the centre is a square. The use of the circle instead of a square is effective because a circle can be easier to read and more cohesive in a sense. The design is also colour coded as well which shows Harris’s use of colour combinations for easier and faster signification. Overall, Harris was a very influential graphic designer that should be included in Eskilsons text. She left a legacy through her work and challenged traditional norms in the graphic design field, which was predominantly run by white men. Today, Harris’s company is called Citizen Research and Design. This firm employs Harris’s concepts that combines aesthetics and functionality to help universities and hospitals incorporate public information graphics in an attractive but effective way. Harris was an significant figure in the design field who taught her company to truly care about the people they were designing for. Biography by Laura House September 01. “Sylvia Harris’s Design Journey.” AIGA, 1 Sept. 2008, www.aiga.org/design-journeys-sylvia-harris. Blum, Sydney. “Sylvia Harris.” GD 203, 5 Apr. 2018, go.distance.ncsu.edu/gd203/?p=25062. Japanese Cultural Art and Design has played a very important role in the history but In Most of the courses taught about Art and Design in Western Universities they always just talk about European and American examples and portray very little information and examples about other regions of the world. To provide the students with a wider view about art and design Designers from other countries should also be a part of the History Books. This is a huge problem in western countries because there is not a lot of knowledge and information about other small countries. I would like to introduce Ikko Tanaka, He is a Japenese Graphic designer and is very famous in a lot of places in the world. He was born in 1930 in Nara City in Japan. He opened his first design studio in 1963 in Japan and was previously working for companies like Nippon. His work draws together the influence of east and west as he acknowledges the vocabulary of Modernism but his work is characteristically Japenese. He came to into fame in the 1950’s when japenese contemporary artists were trying to balance respect for the past with the imperatives of a commercially driven industrial society. Tanaka succeeded in marrying past and present in graphic compositions that were strong and clean, colorful and playful and unerringly precise. He borrowed the simple shapes and patterns of ancient arts and incorporated them into designs that were definitely of his time and place. 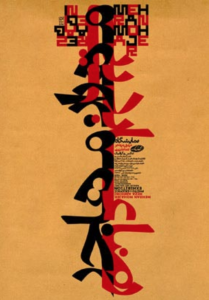 Tanaka fused Japanese tradition and the International Style architecture, contributing a modern sensibility to Japanese poster and publication design. Ikko Tanaka’s best works include he design of the symbols for Expo ’85 in Tsukuba and World City Expo Tokyo ’96 and he has also worked for Seibu Sason group, Mazda and the International Garden. Talking about exhibition he has curated exhibitions at Victoria and Albert Museum London. He also created the logo of Osaka University. He was also a part of developing the Famous company Muji and created a brilliant design strategy for the company. He has been awarded with a lot of design awards which includes JAAC Special Selection, Mainichi Design Award, Minister of Education Newcomer Prize, Tokyo ADC Members’ Grand Prize, Mainichi Art Award, Purple Ribbon Medal, and the New York ADC Hall of Fame Prize. 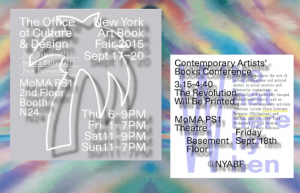 Tanaka has exhibitions in New York, Los Angeles, Paris, Mexico. He uses the typical Japenese Cultural and decorative simplicity to create his work but creates a very unique style in its reductive angularity. 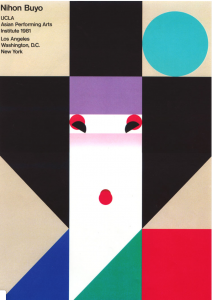 His most famous poster was created in 1981 for the dance troupe Nihon Buyo Performance and reused for various purposes, features an abstract version of a geisha. At the end, I think if artists like Tanaki are a part of our Graphic design History it gives the students and learners a much broader view about art and design and it also intrigue them to learn different forms of art and culture and especially because most of the western schools are very multi cultural artists and history of design and art from different places of the world should be represented. Clara Lobregat Balaguer is a Filipino national. She started in advertising and is a self-taught graphic designer. Later on, she becomes an independent researcher and artist. 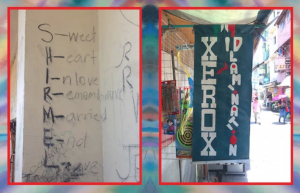 Graphic design in the Philippines does not pose a huge presence in the International level nor in the national level; hence, the reason I chose Balaguer. She is one of the prominent Filipino figures in the modern day. 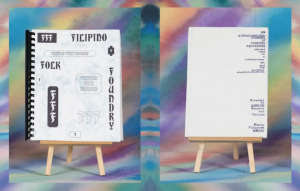 Her graphic design work focuses more on the “precarious history of Filipino graphic design. As a researcher and designer, she is currently working of an essay “Tropico Vernacular” that will reveal the history of graphic design in the Philippines. 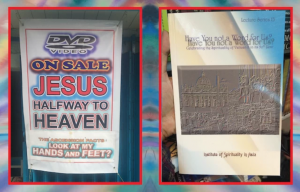 I think this is an important factor because as said earlier, graphic design is very much lost in Filipino design. 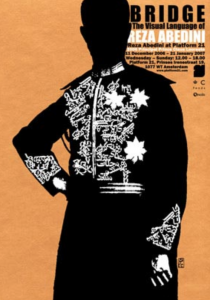 Through Balaguer’s research, it would shed light and clearly make graphic design distinguishable. On top of this, it will help people understand the cultural context of Filipino graphic design itself. Furthermore, Balaguer also founded the Office of Culture and Design a.k.a. OCD. OCD is a “social platform for artists, designers, writers & assorted projects in the developing world (Sophia Callahan).” On top of this, she and her partner founded Hardworking Goodlooking which is a publishing company that works alongside the organization OCD. Being colonized by the west, Filipino typography has uncanny resemblance to a particular typeface called “Bradley” which is designed by an American, William H. Bradley (Callahan). Having to grow up seeing this typeface, it didn’t occur to me that it was influenced by the west. On top of this, it is still used up to now. I think this is an important factor to voice out a more south eastern perspective and how a single influence could last for so long and almost embedded in the Filipino culture. These are works by Balaguer. While working on this, she identified previous work as: “Horror Vaeui Borloloy, Border Mania, Extreme Dropshadow, Maxi Grid Package, Vertical Wordness, and Jejemon Bodots (Callahan).” From here, she drew inspiration and incorporated it into her own work with OCD. Callahan, Sophia. 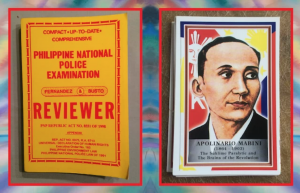 “Cockfights and Cop Tests: A History of Graphic Design in the Philippines.” Vice, Vice, 22 Oct. 2015, Cockfights and Cop Tests: A History of Graphic Design in the Philippines. Within the textbook, there is still dominance of European and western graphic design. Regardless of their historical importance, it is also highly important to recognize other country’s graphic designs that can still be influential and significant in the design world. Zimbabwe graphic designer and typographer Saki Mafundikwa should be included in the next edition of Graphic Design: A New History due to bringing graphic design to Zimbabwe and introducing the world to the significance and beauty of African design and their evolution of typography and scripts. He created graphics legacy and impulse to the new generation. Africa was hardly associated with the graphic design scene especially due to the lack of printing and industrial structures which caused the roman alphabets and western graphics to spread through African cities instead of their native designs. However, Africa was filled with their own unique designs such as ancient to modern symbols, geometric decorations painted on the walls of houses by South African women, early 20th-century alphabet designs in Guinea and patterns on wax fabrics which are quite popular in Africa. The continent was filled with writing systems and designs that Mafundikwa exposes to the modern world (“When Africa meets design”, 2016). 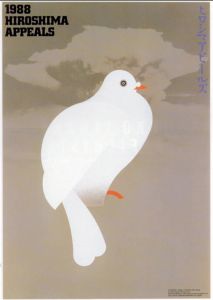 Saki worked in New York at various jobs such as art directing advertisements and publishing, designing various prints at Penguin Random House creating various book designs, freelancing and creating designs for popular recording artists. On top of that, Saki had done lectures to spread awareness and spark inspiration about globalizing African design and aesthetic (“Saki Mafundikwa’s Design Journey”, 2019). 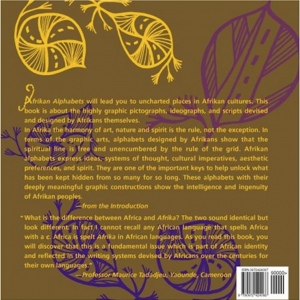 The artist made a book titled Afrikan Alphabets: The Story of Writing in Afrika containing his research and exploration of African typography from alphabet forms from centuries ago to modern African text and symbols (“ Saki Mafundikwa”, 2009). The book showcases the difference significant alphabets in different regions of Africa which he shared. 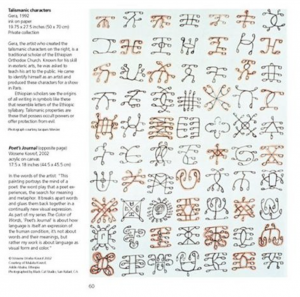 This significantly brings awareness to the writing systems of Africa which are arguably said to contain both legibility and expression that deconstructionists look for in typography. Mafundikwa later left New York to create the first ever graphic design school in Zimbabwe referred to as Zimbabwe Institute of Vigital Arts or ZIVA(“When Africa meets design”, 2016). “Vigital” is a word that the designer made up to refer visual arts and digital which the school teaches (“Saki Mafundikwa’s Design Journey”, 2019). 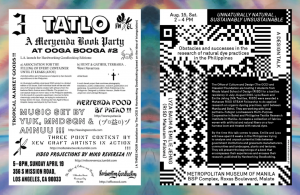 This designer can bring more accurate and updated information on graphic design due to representing another continent’s graphic design that needed more recognition from the world. It depicts the growth of African graphic design and the significance to their culture and history which can help future designers learn more about the different designs around the world. He creates awareness for African graphic design globally and placing him in the textbook would grant his wish to globalize African graphic design. Students would also get to learn about typography from Africa which contrasts from learning typefaces of European and western text, increasing our overall knowledge of design on a global scale which should be condemned as general information. Biography by Camille Lowry September 01. “Saki Mafundikwa’s Design Journey.” AIGA, www.aiga.org/design-journeys-saki-mafundikwa. “Saki Mafundikwa.” AFRICAN DIGITAL ART, 8 Mar. 2016, africandigitalart.com/2009/09/saki-mafundikwa/. “When Africa Meets Design.” Graphéine – Agence De Communication Paris Lyon, 11 July 2018, www.grapheine.com/en/graphic-design-en/africa-design.